Protecting the new ways, for me and for you. Lawyers in Chicago can look forward to Spring for change and renewal – and the Client Centric Strategies conference on 4/15 at the Chicago Bar Association! The headlines in the legal news consistently speak of the changing legal marketplace, whether meeting the needs of the modest means client or learning to solve problems for clients with the help of automation, artificial intelligence, and expert systems. Have you heard about the need for change, but haven’t done it yet because you are waiting for guidance, help, or to see who goes first? Well, there are lawyers who have taken the opportunities to expand their client base and embrace change by leveraging alternative fees, proactive legal services, unconventional law firm business entities, document automation and more to provide quality services and help close the justice gap. 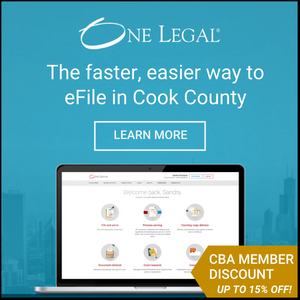 On April 15 at the Chicago Bar Association we have invited some of these lawyers – from Chicago and beyond – to talk about what they have done and what they have learned. Then we will invite you to discuss ideas and concerns to help move the conversation from thought to finish, focusing on building resources and tool kits to provide lawyers the guidance they need to move forward. You will leave with practical and ready to use resources to help you get out in front of the changes happening around the profession in a way that is good for both you and your clients. Nicolle L. Schippers, ARAG North America, Inc.
Let’s go beyond the discussion and move to action, learning from leaders who have started forging the path to change.